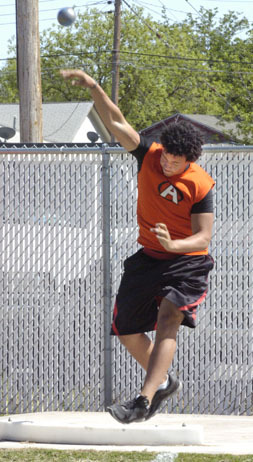 The Artesia High School track and field teams made their lone outing of the season on their home stomping grounds count. The Bulldogs and Lady Bulldogs turned in some of their best marks of the season Friday at Bulldog Bowl and Morris Field, with the Artesia boys topping the solid, nine-team field by three points over second-place Hobbs and the girls finishing second behind Class 6A Carlsbad. The ‘Dogs were able to add a trio of new state qualifications to their list, including the first relay qualified by Artesia on the year. The 400-meter group of Tyler Greenwood, Kameron Aguilar, Alex Cueto and Codey Scott earned that distinction with a third-place time of 44.13. Also qualifying for the first time were freshman Kale Mauritsen in the 300-meter hurdles with a first-place 41.57 and sophomore Chris Montes in the javelin with a third-place throw of 155’11”. Junior hurdler Chandler Youtsey re-qualified in the 110 meters with his top time of the season, a second-place 16.01, and senior Justin Houghtaling logged his fifth qualification of the year, a first-place hurl of 167’1.5”. Re-qualifying for the sixth time Friday for the Lady Bulldogs was senior Tori Collins in the shot put with a second-place throw of 37’2”, and classmate Victoria Acosta notched her fourth qualification in the 300 hurdles with a 48.35 for first place. Able to get a wide variety of athletes – including a number of freshmen and eighth-graders – in action at home, both the Bulldogs and Lady ‘Dogs saw quality results over the course of the evening. Mauritsen, Youtsey and Joe Willingham went one, two, three in the 300 hurdles – Youtsey with a 42.30 and Willingham a 43.78 – and the ‘Dogs also picked up second-place points from Eliazar Granillo in the 3200-meter run (10:39.16) and the 1600-meter relay team of Youtsey, Mauritsen, Austin Lasater and Caleb Brewer (3:35.59). Placing third were Willingham in the 110 hurdles (16.71), Felipe Salamanca in the 800-meter run (2:03.35), and Greenwood in the 200-meter dash (23.35). Lauren Robson bested the field in the girls’ 800-meter run with a time of 2:29.49, as did the 1600-meter relay team of Cameron Keese, Raina Wesson, Elliot Harrison and Acosta (4:15.02), Harrison and Madilynn Moon were second in the high jump and pole vault respectively (4’10” and 8’), and coming in third was the 800 relay team of Acosta, Jailyn Ruiz, McKinley Taylor and Wesson (1:51.15), Robson in the 1600 run (5:59.26), Emilee Kennemur in the pole vault (8’), and Rylee Peak in the discus (98’3”). The Bulldogs were 65 points ahead of their closest District 4-AAAAA competition – Goddard – at the meet, while Roswell High finished eighth. The Lady Bulldogs had five points on third-place Roswell High, and Goddard came in ninth overall. 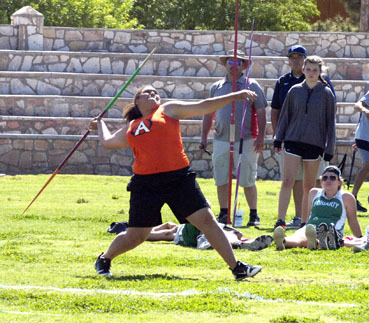 The Artesia boys and girls each have four field events qualified for state and three and two running events respectively heading into their regular-season finale Friday, the Ross Black Relays in Lovington. 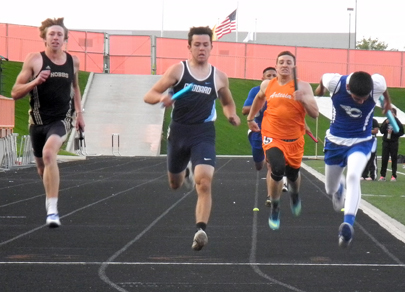 The District 4 Meet is set for 3:30 p.m. Friday, May 6, in Lovington, followed by the Class 5A State Meet May 13-14 in Albuquerque.